When was the last time you got excited over a GMC? No disrespect to the GM sub-brand, but if you&apos;re anything like the rest of the automotive world, it was around last year&apos;s Detroit auto show. 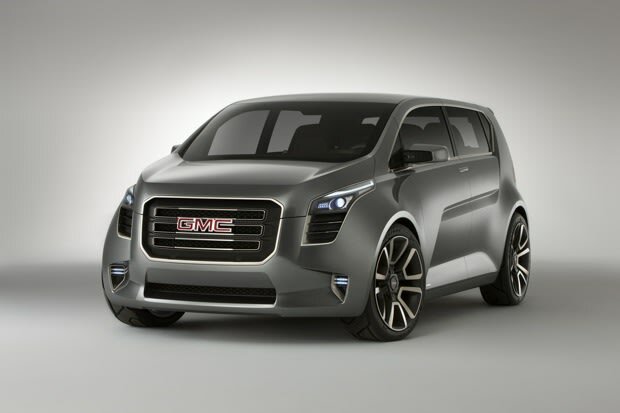 Shortly after it had debuted a rather funky little crossover concept, Motor Trend reported that GMC would indeed produce the boxy yet futuristic car. But shortly thereafter, a retraction of sort had been issued, one that stated that while they strongly believed the "Granite", as it was called, would be produced, they had no official green-light. Now, much to the delight of many, things are once again sounding a bit more confident. Motor Trend now reports that the Granite will in fact be produced, and even goes as far as to say the finished production model will retain the concept&apos;s trick rear suicide door. We can only hope the finished product retains much of the bold styling—both inside and out—that first got our hopes up, but at this point we can only wait and see.